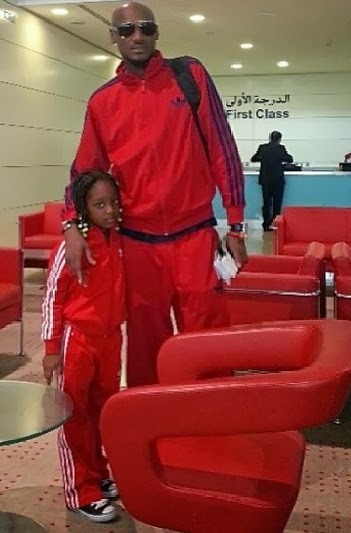 First daughter of singer 2face Idibia and Nollywood actress Annie Macaulay who is currently in the United States of America with her mama is a year older today. 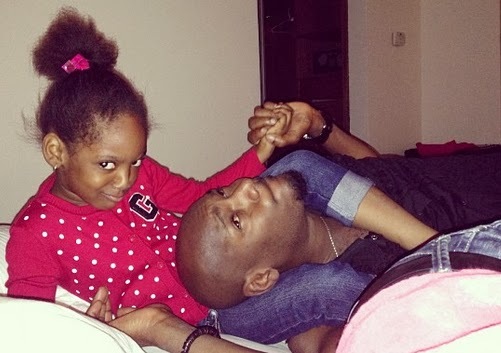 Her father, Tuface made this known via Instagram today. Little Isabella has been receiving massive 5th birthday greetings for the last 5 hours and her celebrity father is not left out. Isabella’s mother, Annie is set to welcome her 2nd child any moment from now. Happy birthday girl. Your days are days of praise. You will continue to celebrate…n celebrate…..n celebrate…..
JT,I read and do not comment but I have to do so because you are a very *********.what is your hotel room number ?? ?.go back to your life and settle with what is disturbing you and not show it to the world sadist woman.HBD lsabella and many more to come. 2face, your daughter is cute. You guys should bring her up in the fear of God. HBD Isabella. May you grow up in the fear of God. Amen. God bless you. @Jt what Nnamdi is trying to tell you is that even if you sleep with the same man you are not allow to tell that to a young daughter on her special day or tell her atall.if not allowed for adults to tell children bad stories about their parents so they can respect their parents. Happy Birthday to you Angel.